I've been meaning to write this post for a while. 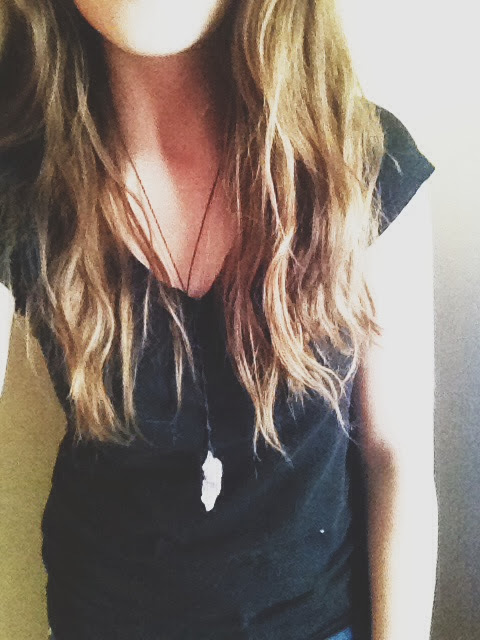 Like most women, I have a love/hate relationship with my hair, and it's a passionate one. When I love it I really love it, and when I hate it I wonder if I could pull off Natalie Portman's V for Vendetta look. I'm in the process of growing my hair out, like probably 80 percent of the female population. If we aren't growing it, we're cutting it, and I vacillated between the two pretty often before I decided to run hard and fast after the mermaid locks of my dreams. I recently switched to a more natural approach with my hair, and I've been getting lots of questions about it from my friends. So, here are the basics of how I take care of my hair. I wash with baking soda. It's formally called the "no 'poo" approach, but that just makes me think of constipation and I steer clear of using it. 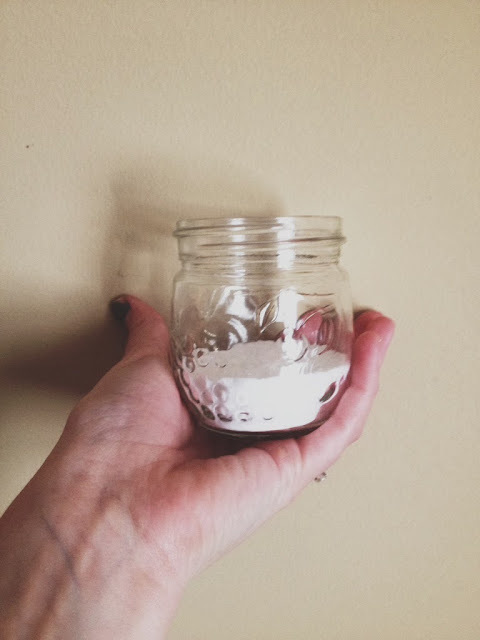 I'll put the equivalent of about 3 teaspoons of baking soda in a repurposed travel sized lotion, fill the rest up with warm water, and give it a couple shakes to mix it up. In the shower, I'll squirt it liberally along my hairline, making sure I get my temples and my bangs, since that's where I get the oiliest. In lieu of conditioner, I'll use a solution of diluted apple cider vinegar in an old conditioner bottle - 2 parts water to 1 part ACV. Since that probably sounds really weird for those who haven't heard of this method, here's the science behind it - conventional shampoos contain sulfates, which lather up to strip your hair of oil. In theory that sounds good, but your hair actually needs the scalp's naturally occurring oil to remain healthy and not get frizzy and dried up. When you wash your hair with a conventional shampoo every day, it strips all the oil from your scalp, which causes your scalp to produce more oil to make up for what it's loosing - making your hair get oilier faster, and shampooing every day to become a necessity. Pantene really put one over on us, huh? The baking soda solution only dissolves the excess oil on your scalp, so that it retains enough to be healthy without looking oily. The baking soda/ACV method actually lets you wash your hair less often because your scalp isn't trying to produce tons of oil. I wash my hair about twice a week and only need dry shampoo every once in a while. I'll explain the ACV too, since its bound to raise some eyebrows; apple cider vinegar naturally balances the pH of your hair, detangling it like a conditioner would do, but with the added bonus of giving it body. While your hair is wet, there's the smell to contend with, but it goes away completely once your hair is dry. Truth be told, I cheat the system a little. About every other week, I'll spread coconut oil all over my hair as a deep conditioner and sleep with it in. When I wash my hair the next morning, I'll use a conventional, sulfate-free shampoo to make sure I get all of the oil out. I love Organix Coconut shampoo for this, which you can find here. It's also a great shampoo to switch to if you aren't sure you want to completely go no 'poo. Sometimes when I know I'll be going to class with wet hair (I am staunchly against blow dryers for anything but my bangs), I'll use Aussie's 3 Minute Miracle for conditioner rather than the ACV solution, since not using any kind of conditioner on my hair isn't really an option. You know those electricity balls you can put your hands on to make your hair stand up? If I skip conditioner, my hair does that on it's own. Other than that, it's pretty basic! Like I said, I don't use a hair dryer except on my bangs, and I try not to cake on the product. I take a B-complex vitamin that contains biotin and make sure that I drink enough water. I also trim it myself - not a whole lot, but every couple weeks I'll check and snip off the dead ends so that it's healthy but I don't lose any length. My hair is healthier than it has been in a long time, and it's growing pretty fast! Mermaid hair is within reach, friends. I did not know you washed your hair this way! I switched to this method too, about 2 months ago and I could never go back to anything else. 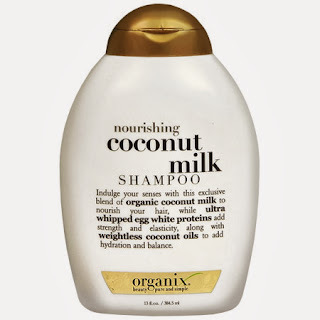 I also love the coconut milk product by organix - I have the body lotion and I love it. ALSO I do the coconut oil mask on my hair once a week too but I don't leave it in as long. How interesting. I have been so pleased with my hair and I wish I would have started doing this ages ago. It's soooo cheap! I know! I'm loving it. My hair is so much healthier than before.